One of my favorite LEGO themes growing up was the Wild West line. I always felt it was a very underrated theme. Sergeant Chipmunk's MOC gave me those old fuzzy feelings of pitting bandits against cowboys on my bedroom floor. Love the use of colors in this MOC (some purists may balk at mixing new gray and old gray, but I think it's utilized really well here). 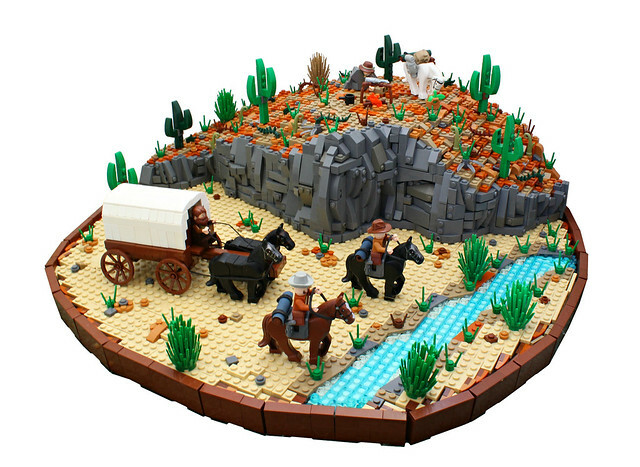 Now I wanna make a Wild West brickfilm!